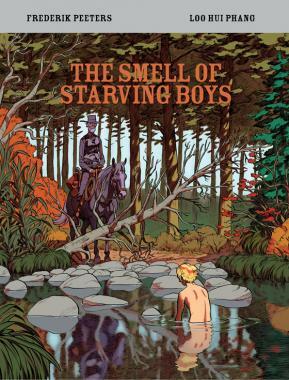 What strikes you immediately about ‘The Smell of Starving Boys’ is the sheer cinematic scale of the graphic novel. Frederik Peeters incredible artwork wonderfully conveys the grand scale of the Wild West, with vibrant deep earthy tones in his rocky landscapes. 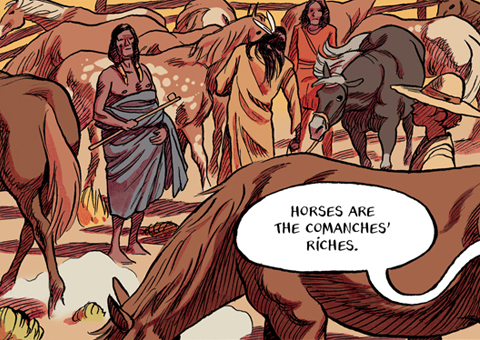 Also the characters are fantastically rendered and we really see the clash of the prospectors evidently out of their depth amidst the hordes of hostiles and roaming cattle. 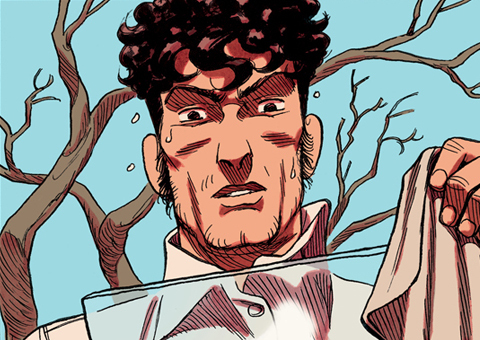 In particular the scenes of stamping buffalo convey an impressive sense of action and movement rarely seen on the page and it’s something which is sure to keep you pouring over those panels long after you’ve read the story. But of course not forgetting Loo Hui Phang’s writing which will keep you fixed to the pages.‘The Smell of Starving Boys’ is far more than a standard Western adventure, and it’s impressive within such a familiar setting you’re kept constantly on your toes, with elements of unsuspected romance and even the supernatural! It’s far different to anything you’ve read before and is sure to be a book you’ll return to time and time again.